We understand the special role your pet plays in your family and are dedicated to becoming a partner in your pet's health care. Our kind and friendly pet care team is devoted to providing the most up-to-date,comprehensive and compassionate care to our patients. 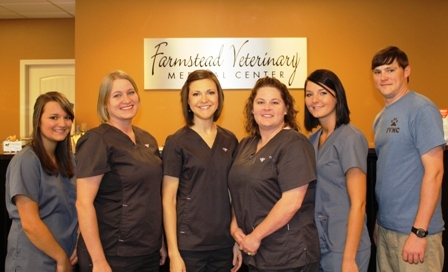 At Farmstead Veterinary Medical Center, we offer a wide variety of services such as emergency services, dog boarding, cat boarding featuring "Kitty City", general surgery, dental, weight loss management program, The Barking Zone dog daycare, grooming and more. We would love the opportunity to get to know and care for your four-legged family member.